Hanoi (VNA) – The Vietnam Competition Authority has revoked the licences of 14 multi-level marketing firms and forced 11 others to halt business until November. The authority, under the Ministry of Trade and Industry, reported that at present, there were 42 multi-level marketing firms that were trading nationwide, a decrease of 25 since 2015. According to the authority, sales activities of these multi-level marketing firms were being disguised recently, affecting the business model’s participants. The multi-level marketing (MLM) business model, referred to as a pyramid scheme, is a legitimate but controversial marketing strategy in which the sales force is compensated not only for the sales they generate, but also for the sales of the other salespeople they recruit. The competition authority found that common violations of MLM firms involved taking advantage of the multi-level method for illegal financial services trade or for unlawfully raising money. In addition, many unlicensed firms were stealthily trading to raise money from innocent participants, aiming at making illicit profits. Facing with the situation, the Ministry of Trade and Industry has this year focused on implementing urgent measures to enhance the effective management of multi-level sale activities. This included promulgation of Direction No. 02 on strengthening inspection, supervision and tackling violations of multi-level sale activities. The inspection has essentially controlled the spread of multi-level sale activities. The ministry penalised 64 of total 65 violation cases of multi-level marketing firms from June, 2015 to November, 2016, seizing 11 billion VND in fines. 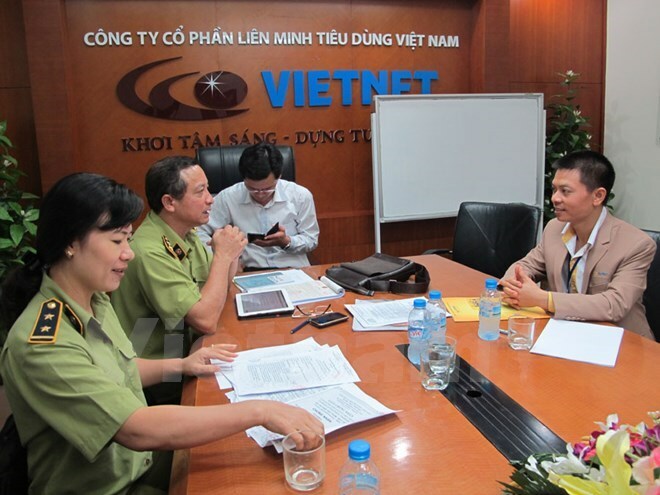 Additionally, 37 provincial departments of trade and industry penalised 21 multi-level marketing firms for 65 violations, fining them 4 billion VND. To improve efficiency of the state management, the ministry asked relevant state offices to actively contribute to the draft of amendment decree 42, which is expected to be promulgated late this year or early next year. The amendment decree will make multi-level sale activities transparent and improve the competence of provincial management offices for multi-level sale activities. In 2017, the ministry will continue inspecting and supervising multi-level sale activities and will coordinate with the Ministry of Public Security to supplement regulations on criminals related to the business model. The ministry reported that over the first six months of this year, revenue from multi-level sale activities of firms reached 4 trillion VND, of which 1.8 trillion VND came from foreign-invested firms and the rest came from domestic firms. These firms paid 712 billion VND in commission money and other bonus services to participants involved in the business model. In the first six months, the number of participants was some 500,000, a decline of 57 percent against the same period in 2015. Multi-level marketing firms paid taxes totalling 453 billion VND.